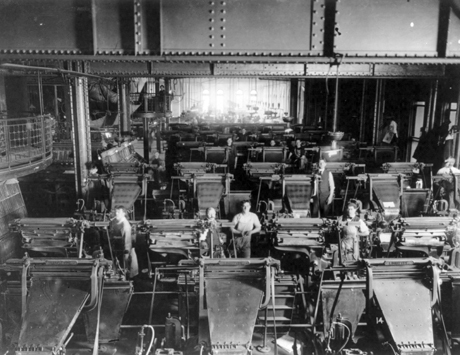 The "white collar" workers are using monotype machines. 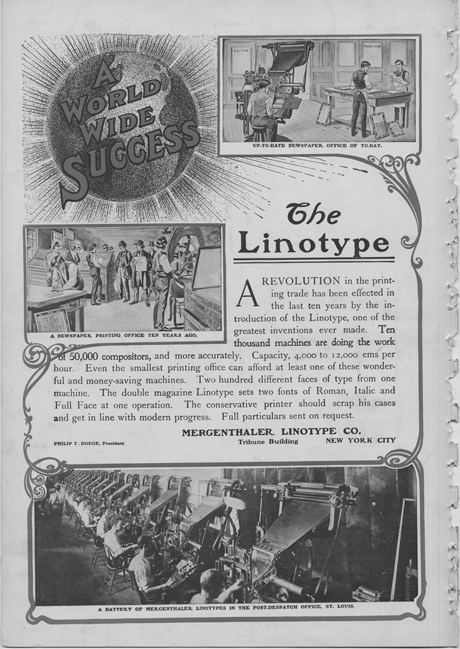 The monotype system divided the typesetting process between two machines: the monotype keyboard and the monotype caster. 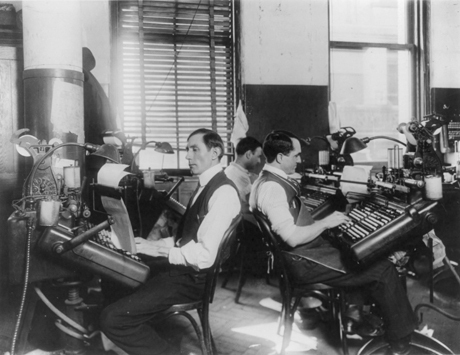 Compositors would enter the text on the keyboard to produce holes in a paper tape which was then sent to a caster that read the code and produced a line of type in a lead slug.